India is a country were most scams takes place. This is statement is not false as per current situation. From coal to CWG, helicopter to 2G etc. many big scams took place and one thing in common in these all scams are that they are in Thousand Cr. Rupees. These scams are committed by top businessman to politician. They use their power to commit frauds and take down crore of rupees of the people. Usually middle class and low class people are the victims of such scams. This scam was committed in 1986. Because of this scam there was a big clash on Gandhi family and congress party because there was involvement of Rajiv Gandhi in this scam. Hinduja brothers and one of renowned actor Mr. Amitabh Bachchan was also part of this scam. There is more of it but will describe later. The master mind behind this scam was Harshad Mehta and it came in media in 1992. Because of this scam it hit the share market. Ketan parkeh was also a part of this scam and some of the bank officers were also part of this scam. Because of this scam he was banned for the life by SEBI for stock-market related activities. Amt: – 49.99 billion rupees. These scam came into media in 2009. Software Company Satyam’s Ramalinga Raju was the main culprit of these scam. It was one of the biggest corporate level scam in India. It was then took over by Mahindra and Mahindra. 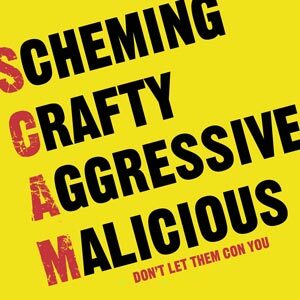 Besides these above scams there are other scams such as Jeep Scam (Amt: -80 Lakh , Year: -1948), Adarsh Society Scam (Year: -2010), 2G scam (Amt: -176000 Cr., Year: -2010), Common Wealth Games (C.W.G.) Scam (Amt: -US$12 billion, Year: -2010), LIC housing scam (Amt: – 1000 Cr., Year: -2010) etc. and still counting. These scams are in the hands of CBI and would be solved as early as possible. Hope you liked this article. Comment below your suggestion about this article.